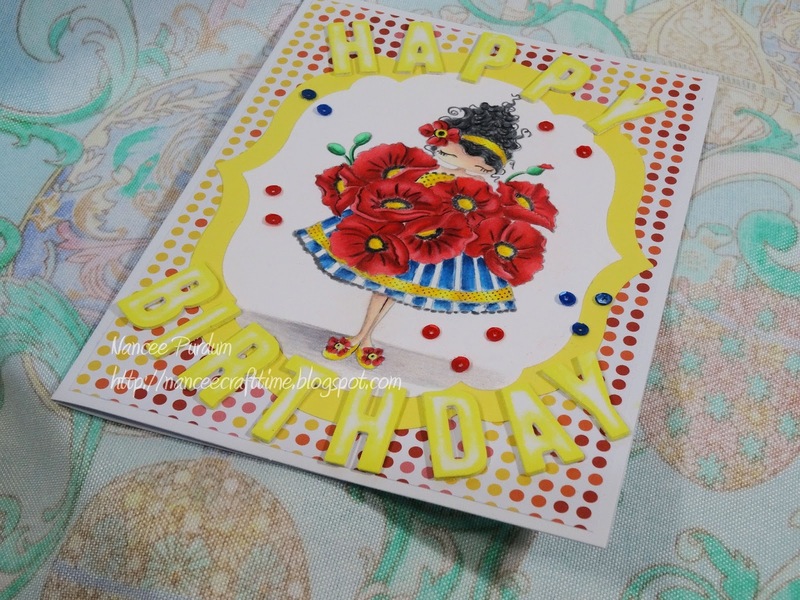 I have been so busy making cards that I haven’t had time to post them all…….I’m trying to catch up!!! 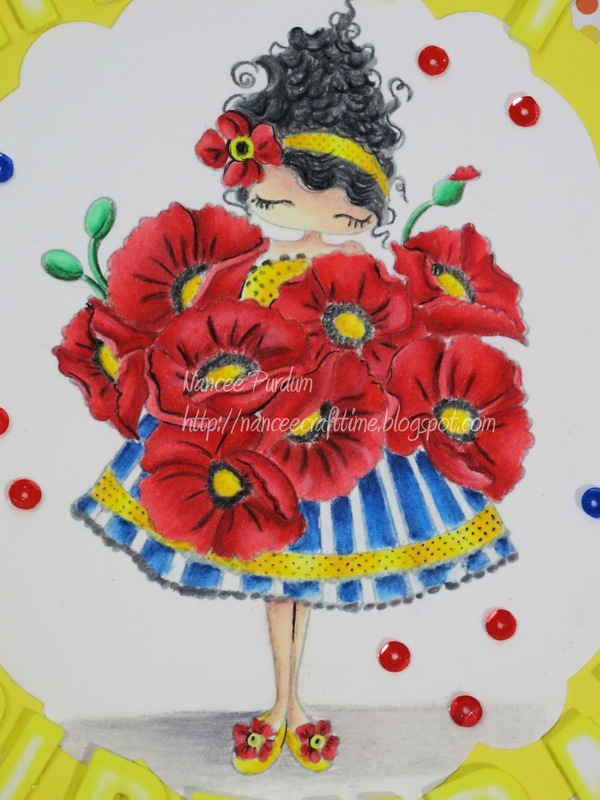 Lulu Loves Poppies is another Stamping Bella stamp. She is such a sweetie! I tried something different to color her this time, colored pencils. 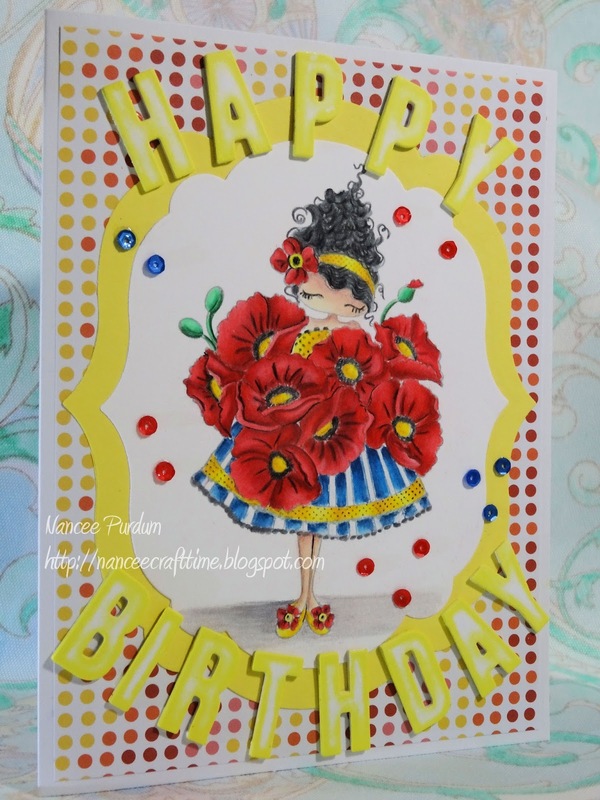 I used the Avery Elle Alpha Dies to cut out the Happy Birthday. I cut each letter four times out of white cardstock, and then glued them together to get the “raised” look. I used some ink to ink around the letters to make them stand out a little. Again, I did not write down the colors that I used……Sorry! WOW! You do magic with color pencils Nancee! Gorgeous coloring! Beautiful designing!